As guests in our health care facilities, our patients and their families always have the right to lead in our interactions with them. Most of the time, people are open to prayer when they are feeling distressed, frightened or discouraged. However, always ask God for the visit to be a blessing to the person, not an opportunity for your agenda. Asking people first if you can pray for them puts your agenda on the shelf and allows the person to express their true feeling in a vulnerable time. If they say no, respect their answer; if you choose to, you can pray for them on your own private time. Suddenly I realize that the most important thing in her mind at that moment is not the fact that she is dying. It’s her grandson. So, I include the grandson, but I also include her. Years ago, I sat in a hospital room with a dear friend and saw the wonderful care that she was receiving from her nurse. I was so impressed when the nurse told my friend that her shift was ending, but that she’d like to say a prayer for her before she left. 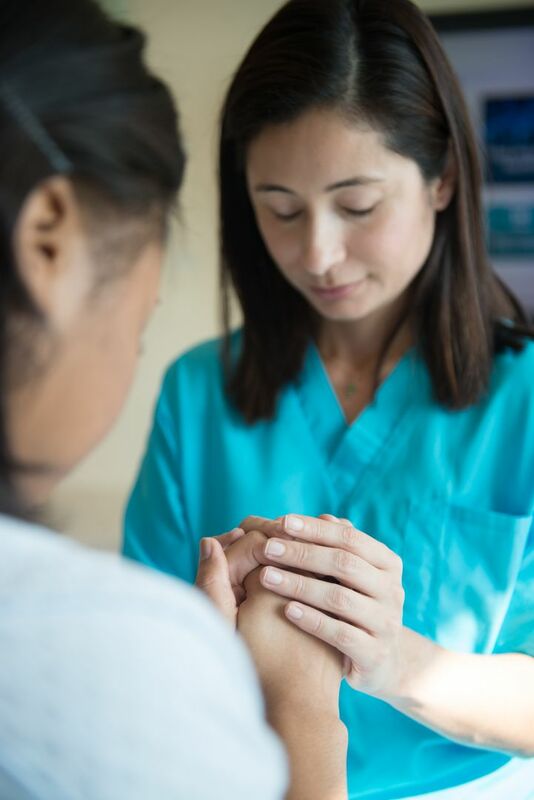 My friend grabbed the nurses hand and the nurse began the prayer with, “Father in Heaven,” not knowing that my dear friend was abused by her dad and her step-dad as a child. Have you had experiences in your life where you felt God’s presence in your time of need? If so, draw from it to help the person you’re praying for in their time of need. 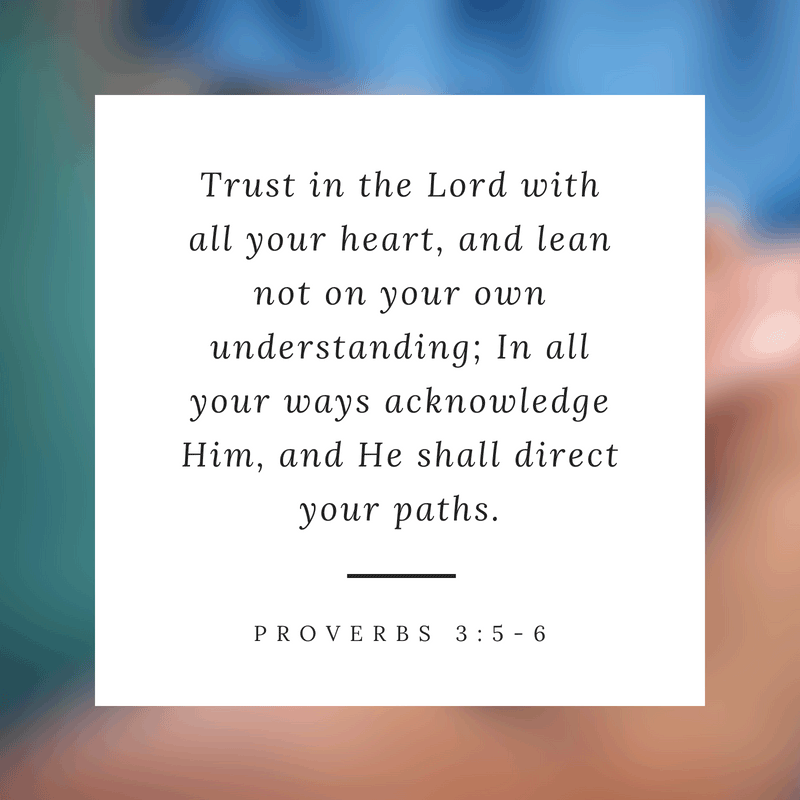 Do you truly trust God to lead your life? Have you come to a place that you feel His love for you and those you care about? Have you experienced a sense of joy and peace with God? Pulling from your own experiences with God will often provide the words that will speak to the need of the moment when praying for patients. Draw from the well of experiences that have encouraged your walk and inspired you to be the person you are today. If you don’t have much to draw from, know for certain that God will provide whatever is needed for that experience; just acknowledge Him. 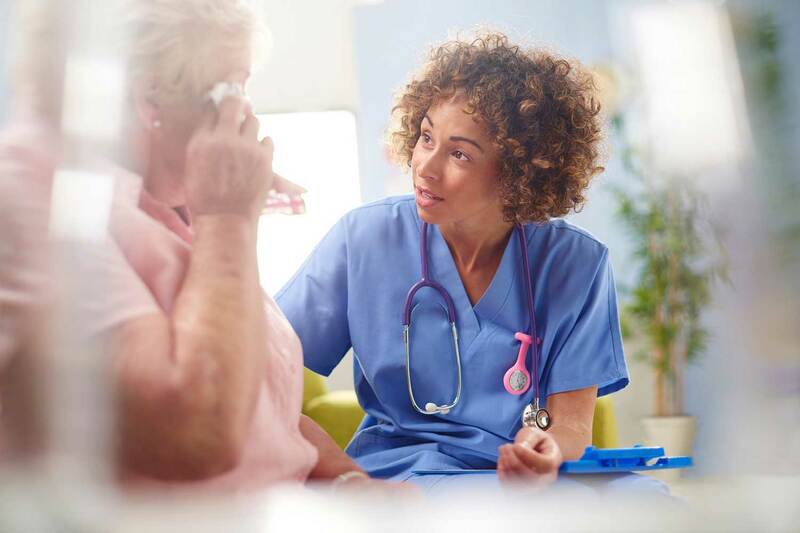 I believe all patients can experience healing, but not all will be cured. Healing may be spiritual, where a patient suddenly experiences peace with God. Healing may be emotional, where a patient resolves the rifts in their family and mends wounds from the past. 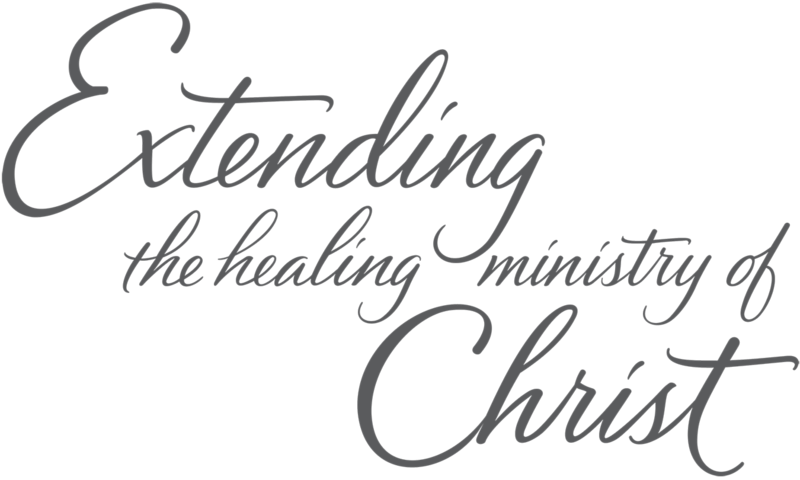 Healing may also be physical, where a patient receives the care they need through medical staff or God intervenes to cure their maladies. There is nothing wrong with asking God to heal a person’s physical, emotional or spiritual needs. Just recognize that when you ask for “His will,” you will be in a much better place. I have seen miraculous healing take place in cases when every fiber in my body said the person would not make it; God proved me wrong. Other times, I believed that a person would be fully healed and they weren’t. I have come to a place of understanding that I know nothing compared to what God knows! Therefore, I acknowledge Him when asking for any form of healing: physical, emotional or spiritual. I ask for His will to be done and trust that He knows best. In addition to praying for God’s will, you can pray for virtues that everyone can experience whether or not they receive physical healing. These include peace, comfort, courage, wisdom, and strength. If you choose to end your prayers "in Jesus' name," consider if the person you're praying with is a Christian. 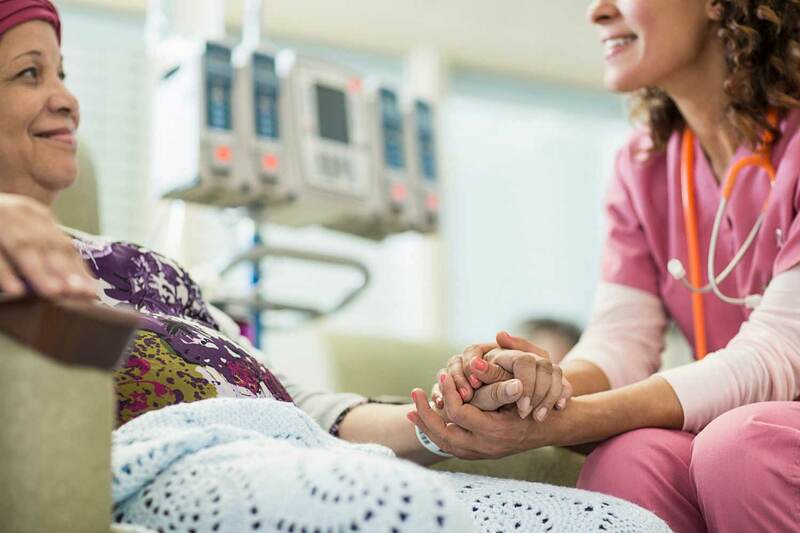 Patients from different faith traditions may connect better to a prayer that ends simply with "Amen" or "Asking these things in Your name." How I close is usually dependent on the conversation I've had with the person before the prayer, and what will be most meaningful for them. Remember that God is God, and He hears every prayer regardless of how it ends! In your personal life, it's wonderful if you have long prayers with family or talk to God for hours. When you're praying with patients though, I recommend keeping your prayers under two minutes. After all, you don't want them to regret letting you pray for them! Having the opportunity to minister to our patients and visitors is a God-given privilege. In recognition of this honor, we should always be sensitive to the needs of those we serve. 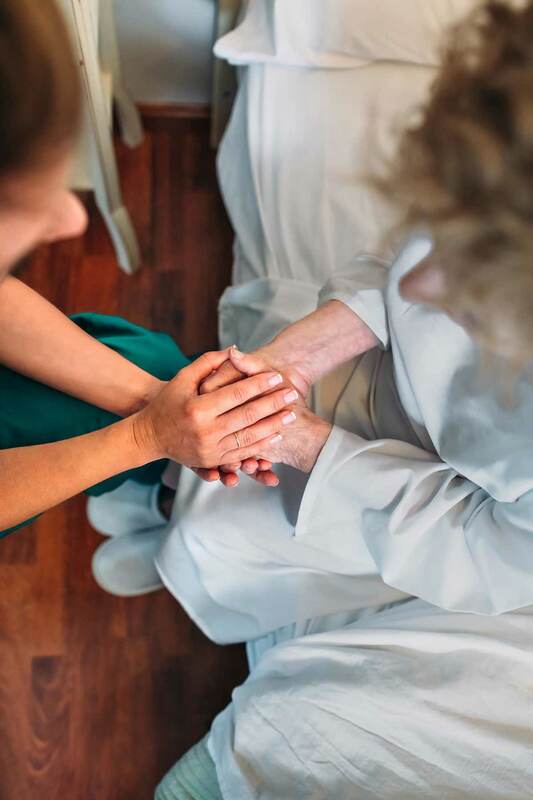 For more ideas on how to provide spiritual care, contact your chaplain or check out this post on 9 Ways to Provide Spiritual Care to Your Patients & Their Families. Farzad Nourian loves AdventHealth's mission of Extending the Healing Ministry of Christ, and has enjoyed serving at AdventHealth for the past 16 years. He has ministered as a chaplain at several different campuses and is currently the senior regional director of mission and ministry for the Central Florida Division - North.